Say goodbye to Albion Online’s Royal Isles — and hello to the all-new Royal Continent! In its upcoming Galahad release, Albion Online is wiping out its old archipelago in favor for a map redesign that spans an entire continent and several biomes. 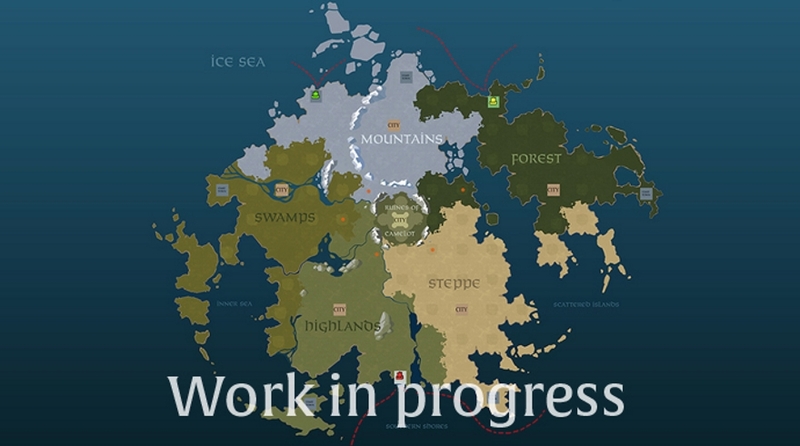 “We decided to take the opportunity of the upcoming wipe to also redesign the Royal Isles. We quickly realized we could make a series of significant improvements with relatively little effort on our end, and create a far better Royal Continent without slowing down our overall game development,” the team wrote. The Royal Continent will be the starting point for all players in the game. The landmass is designed as a pie, with a metropolis hub at the center and six “slices” containing their own biomes and main cities. The end result, the devs said, is a map that offers better progression and is more space efficient. You can take a look at the work-in-progress map after the jump!